Could not help myself from trying FC Pitt pens I bought today! 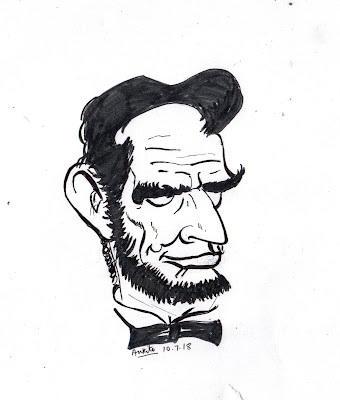 This caricature of late US President Abraham Lincon is done with Pitt pens and sketch pen (only for hair on his head). The Way We See It!